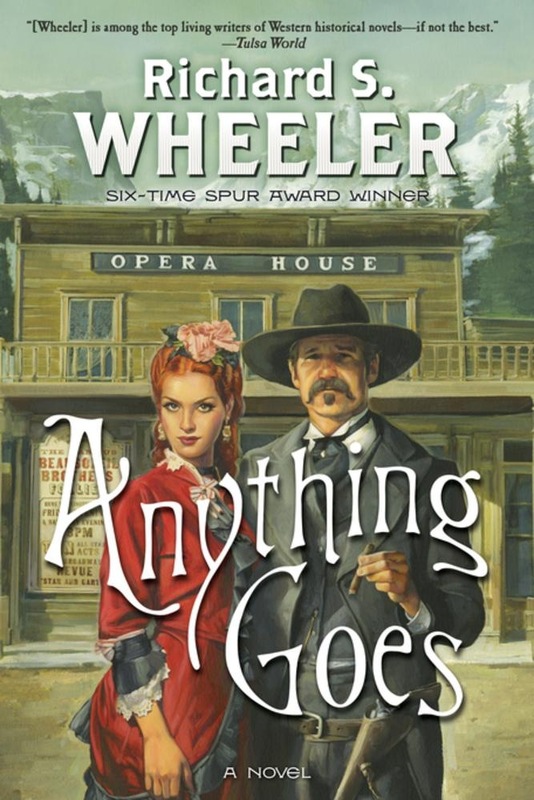 Anything Goes: the enchanting story of a vaudeville troupe that makes its way to Western mining towns, from renowned master of the Western novel, Richard S. Wheeler. The cowboys, gold miners, outlaws, gunmen, prostitutes, and marshals who populate the Wild West never see much big-city entertainment. Most towns are too wild and rowdy for entertainers to enter, let alone perform in. All that is about to change. August Beausoleil and his colleague, Charles Pomerantz, have taken the Beausoleil Brothers Follies to the remote mining towns of Montana, far from the powerful impresarios who own the talent and control the theaters on the big vaudeville circuits. Their cast includes a collection of has-beens and second-tier performers: Mary Mabel Markey, the shopworn singer now a little out of breath; Wayne Windsor, "The Profile," who favors his audiences with just one side of his face while needling them with acerbic dialogue; Harry the Juggler, who went from tossing teacups to tossing scimitars; Mrs. McGivers and her capuchin monkey band; and the Wildroot Sisters, born to show business and managed by a stage mother who drives August mad. Though the towns are starved for entertainment, the Follies struggles to fill seats as the show grinds from town to town. Just when the company is desperate for fresh talent, a mysterious young woman astonishes everyone with her exquisite voice. The Wild West will never be the same. They've seen comics, gorgeous singers, and scimitar-tossing jugglers. Now if the troupers can only make it back East . . . alive! At the Publisher's request, this title is being sold without Digital Rights Management Software (DRM) applied. Acquista Anything Goes in Epub: dopo aver letto l’ebook Anything Goes di Richard S. Wheeler ti invitiamo a lasciarci una Recensione qui sotto: sarà utile agli utenti che non abbiano ancora letto questo libro e che vogliano avere delle opinioni altrui. L’opinione su di un libro è molto soggettiva e per questo leggere eventuali recensioni negative non ci dovrà frenare dall’acquisto, anzi dovrà spingerci ad acquistare il libro in fretta per poter dire la nostra ed eventualmente smentire quanto commentato da altri, contribuendo ad arricchire più possibile i commenti e dare sempre più spunti di confronto al pubblico online.